Nope, not all fashion trends have to have a nearsighted expiration date. In fact, the best trends are those that surprise us by actually sticking around for more than one or two seasons, making a larger footprint on the trend cycle and, thus, our closets. For anyone feeling the exhaustion of keeping up with fashion's brisk pace (let's be real—the turnover rate for trends is pretty high these days), we have some good news in store for you: At least the following 10 trends that were big in 2018 will continue to be just as relevant, if not more so, in 2019. 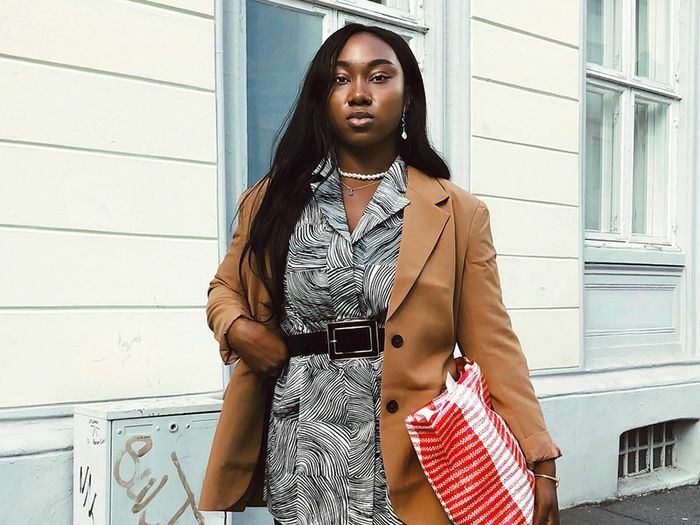 The end of the year comes with its fair share of closet cleanouts, so to better assist you with deciding what's worth tossing and keeping, we rounded up the 2019 fashion trends you should definitely hold onto. Haven't had a chance to get your hands on the following pieces? There's no time like the present to stock up. Because the best part about trends that cross over from season to season is that you don't have to wait to participate in them—every retailer under the sun is carrying a version right now. Ready to see which fashion trends will continue to dominate in 2019? Keep reading to find out why we're putting money behind these 10 styles, and then shop our picks if you know what's good for you. Although it appeared that the bike-short trend hit its peak during the summer, the athletic shorts appeared on a number of spring runways and continue to be a street style favorite, which will only solidify them as a key spring 2019 trend. The trend everyone from The Row to Zara got in on this year? "Floss" sandals with '90s-style barely there straps. Just based on the sheer volume of outfit ideas we have dreamed up with the shoes, we're personally gunning for them to continue. Polka dots, ruching, over-the-top glam—the '80s may have reemerged this year, but make no mistake; the maximalist styles will continue to reign supreme for seasons to come. Colorful resin and acrylic jewelry will still be way in this spring, in an array of cheery colors and fun-loving shapes, especially if fashion-girl favorite Valet Studio has anything to say about it. We just named "dad" sneakers the trend of 2018 in our Street Style Awards. Equal parts cool and comfy, the sneakers proved to win everyone over, ourselves included, and 2019 is shaping up to be an equally comfy year for footwear. With new iterations emerging left and right, there's no reason to lose faith in the "dad" sneaker trend now. It's not going anywhere in 2019. We can't tell if everyone collectively got nostalgic for the accessories from our childhoods or what, but all things "kindergarten hair" (clips, barrettes, headbands, bows) are having a moment, and we don't hate one bit. When the season's biggest accessory trend also happens to be the one that makes any outfit look more expensive, we know it'll stick around. Croc effect is finding its way onto all the It bags and shoes right now, and given how classic a look it has, this is a trend that won't expire now, next season, or ever, really. The prettiest jewelry trend to hit Instagram, maybe ever, was baroque pearls. With all the pretty and none of the stuffy feel of their classic round counterparts, organic-shaped baroque pearls are emerging on dainty necklaces and drop earrings galore. Jewelry designers are only just getting started, too. The newest jean shape to win over the fashion crowd will give skinny jeans a run for their money in 2019, and they're already a hit among the coolest of fashion girls. Next: the outdated celebrity trends that never made it past 2017.